We have been struggling trying to find a pizza crust we all can agree on. It is hard when you are gluten free. Either the crust is to hard, not fluffy enough, has a grainy taste, not how we want it to taste, ect. It’s rough! 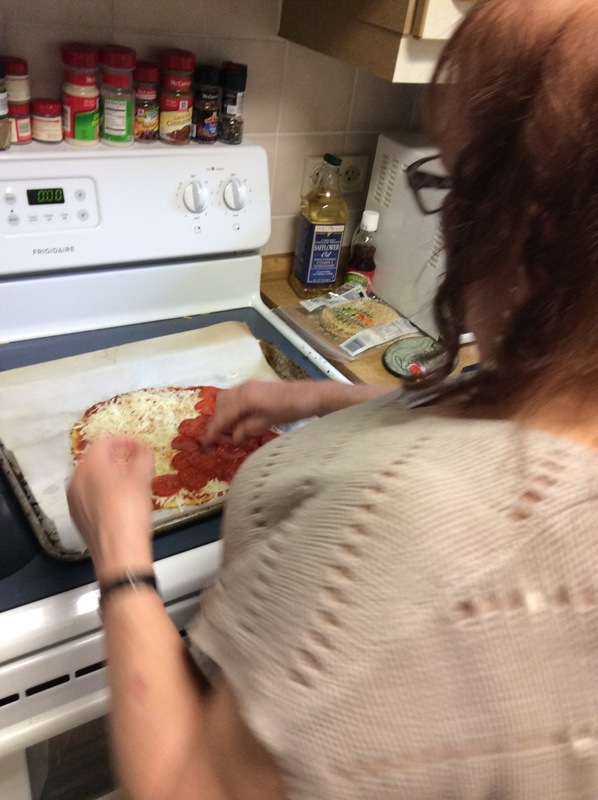 It’s not like I can call the pizza place down the street and say, “hey deliver me a pizza in under 30 min” and expect a gluten free delicious fluffy cheesy pizza…. Ugh, one can dream. Well, I found a crust that my family is crazy over!!!!!! I mean crazy! We have it ATLEAST once a week! I stumbled across this recipe by accident and thought I would give it a try. I am not going to lie, I was skeptical, considering I had never in my life thought i would ever use Cauliflower as a ingredient for anything in my house. Well I did, and now one other TOP secret veggie massively infused in my cooking! thank you Lucky Penny for an amazing pizza!! Next Post My DIY felt board!